Sauza® Tequila, one of the oldest and most storied houses in tequila, and Justin Timberlake have joined forces to launch Sauza® 901® super-premium tequila. The co-branded partnership blends the creativity and one-of-a-kind personality of the 901® brand’s founder with the quality and history of iconic Sauza Tequila to craft a dynamic lifestyle spirits brand. 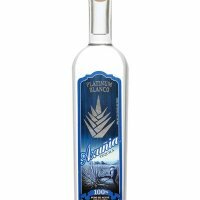 The latest offering from Beam Inc. (NYSE: BEAM) is a super-premium tequila that takes on the persona of its creator – delivering a smooth, versatile and unique taste that is a cut above the rest. Named for the time when the night gets interesting and a nod to Justin Timberlake’s hometown area code in Memphis, Tennessee, Sauza 901 Tequila embodies the fun energy of the award-winning entertainer. Sauza 901 offers a super smooth, triple-distilled 100 percent agave tequila. Perfect for nighttime and celebratory occasions, Sauza 901 can be served straight up or on the rocks. It also provides a sophisticated, unique mixer for designing inventive cocktails – from the classic Paloma to the Mexican Mule, an updated twist on the Moscow Mule and Justin Timberlake’s favorite cocktail. “My love for tequila began a few years ago after I visited the tequila heartland of Jalisco, Mexico, and saw the passion and craftsmanship that goes into every bottle,” said Justin Timberlake. “That trip inspired me to create 901, and I’m thrilled to partner with Sauza so we can continue to bring the world 901." Sauza 901 will be available in select markets in early 2014 for a suggested retail price of $29.99. The 80-proof 750ml bottle will feature new co-branded packaging, including a distinctive bottle and a unique label design. Over time, given the global reach of Beam and Justin Timberlake as an artist, the Sauza 901 brand will be rolled out in select international markets, as well. To offer an exclusive taste of Sauza 901, the brand will have a presence at Justin Timberlake’s world tour “The 20/20 Experience” with a Sauza 901 bar at every show. For more information, visit www.901.com, Twitter @Sauza901, or on Facebook at www.Facebook.com/Sauza901.